Three CNN journalists who worked on a now-retracted story about Russia and a top Trump adviser are leaving the network. CNN is casting their departure as resignations in the wake of the fiasco, but the network has come under substantial criticism since apologizing for the story. The move would also help CNN’s legal position in case of a lawsuit. Anthony Scaramucci, the Trump adviser who is the target of the story, told me that he has no plans to sue. He said he has accepted CNN’s apology and wants to move on. In this Jan. 13, 2017 file photo, Anthony Scaramucci, a senior adviser to President-elect Donald Trump, talks to reporters in the lobby of Trump Tower in New York. Lex Harris, executive editor of CNN’s investigative unit, was the highest-ranking official to resign. Thomas Frank, who wrote the story, and Eric Lichtblau, who edited it, also turned in their resignations. Lichtblau is a highly regarded reporter who spent nearly a decade and a half at the New York Times. The story tried to draw a link between Scaramucci and the Russian Direct Investment Fund. Scaramucci was a Trump transition team member who has been nominated to an ambassadorial-level post based in Paris. The CNN.com article said that Scaramucci, back in January, held a secret meeting with an official from the Russian fund. 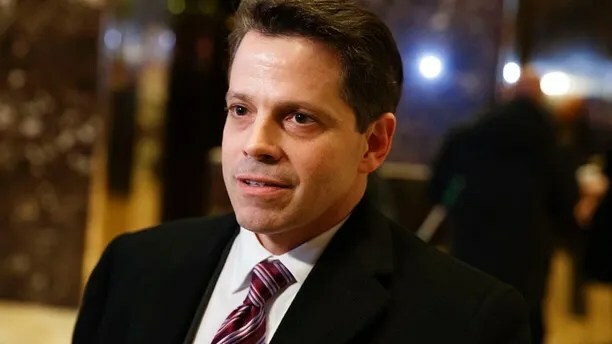 According to an unnamed source, Scaramucci discussed the possibility of lifting U.S. sanctions at the meeting. But Scaramucci told me there was no secret meeting. He said he had given a speech on Trump’s behalf at Davos, and fund official Kirill Dmitriev approached him in a restaurant to say hello and they had a brief conversation, with no discussion of sanctions. In the retraction, the network said the story “did not meet CNN’s editorial standards.” The network is now requiring approval from two top editors before any Russia-related story can be published. Howard Kurtz is a Fox News analyst and the host of “MediaBuzz” (Sundays 11 a.m.). He is the author of five books and is based in Washington. Follow him at @HowardKurtz. Click here for more information on Howard Kurtz.